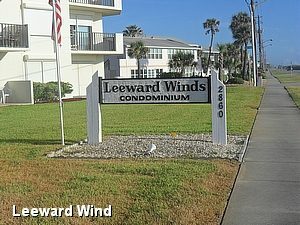 Leeward Winds Condominium Association, Inc.
Home Leeward Winds Condominium Association, Inc.
Leeward Winds Condominium Association, Inc. is located on Ocean Shore Blvd. Across from the Atlantic Ocean, access to enjoy the sound, surf, and breezes is available by private walk-over bridge. This is a five story building with insulated walls, elevator, pool, covered carport parking as well as plenty of open parking. With a five Member Board of Directors, this 40 Unit Association is always well budgeted and well maintained. At Leeward Winds, not only is it relaxing with the water within steps, shopping and attractions of Daytona Beach are close. 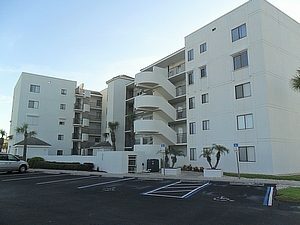 Leeward Winds Condominiums is a great place to live, vacation, and stay.